Contains monthly press release dates as well as release dates for key LMI publications. “Labor availability” describes how many people within a given area are available and willing to take on a new job. The Nebraska Departments of Economic Development and Labor and the University of Nebraska-Lincoln Bureau of Business Research and Bureau of Sociological Research have collaborated on this research project designed to measure local labor availability and the needs of businesses in selected regions of Nebraska. 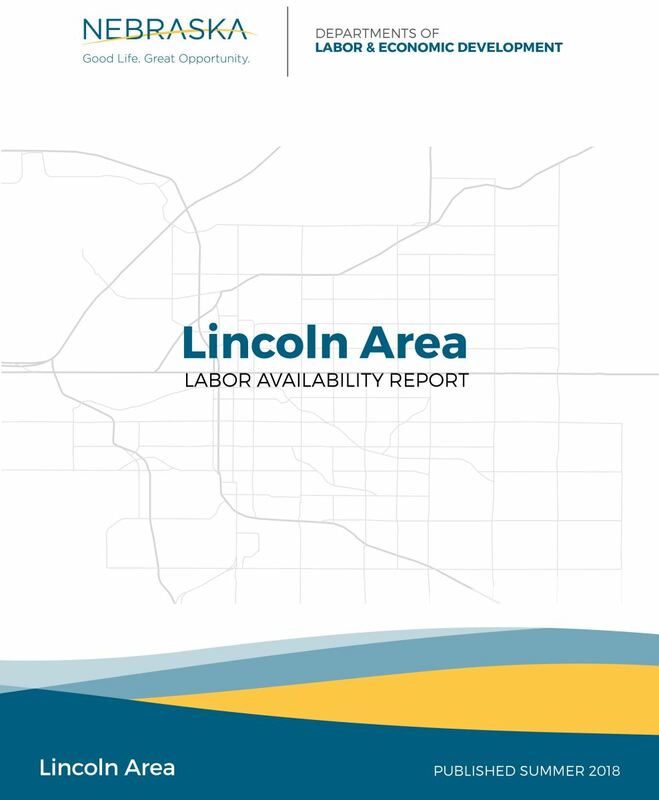 The resulting area reports include a Labor Availability Report based on data received from individuals, a Hiring and Training Needs report based on data received from employers, and a Skills Gap Report produced by the University of Nebraska-Lincoln Bureau of Business Research. Previously known as the Regional Review, contains a variety of statewide labor market information, including a demographic review, education, labor force data, employment by industry and occupation, and employment projections. 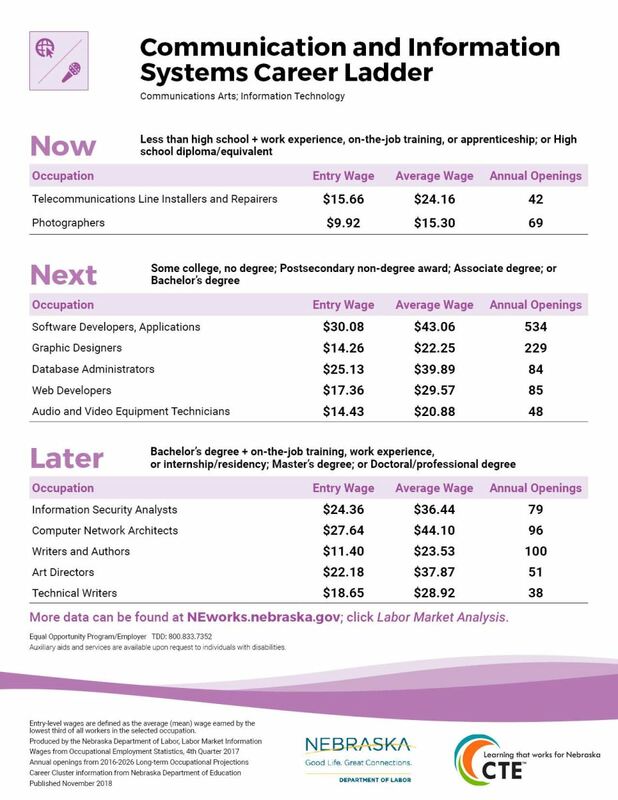 The 2018 career ladder posters demonstrate a career path that could be pursued to acquire a high-skill, high-paying occupation with growth potential in Nebraska. 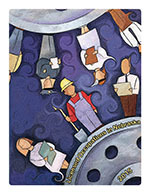 Each poster focuses on 12 in-demand occupations within a specific career cluster. Posters are available in two sizes, tabloid (11 x 17 inches) and letter (8.5 x 11 inches). Examines where 2011-2012 graduates are working in the first quarter of 2013. The analysis includes demographics, wages, industry information, and more. 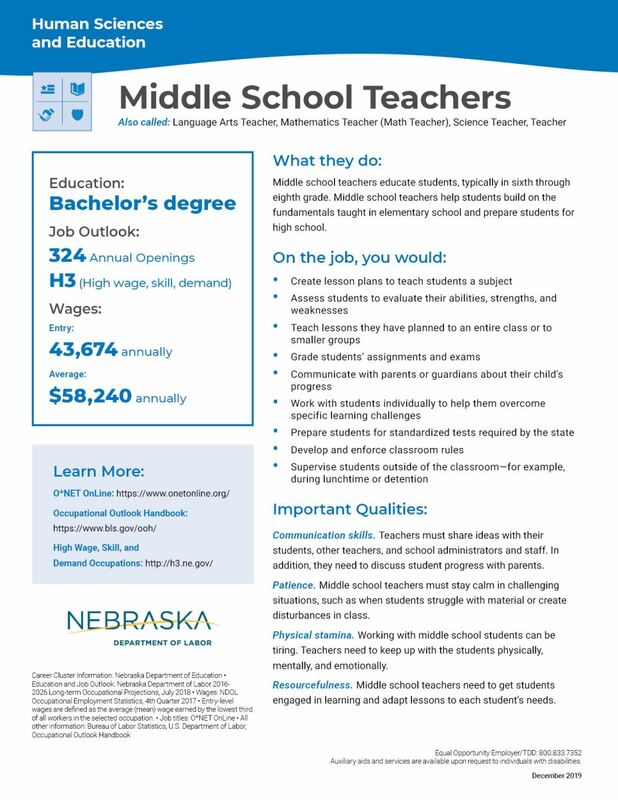 The occupational profiles provide a career overview of an occupation in Nebraska. Each profile features general information about the occupation including knowledge, skills, and abilities combined with wages and the projected job outlook. 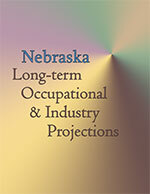 The Nebraska Occupational and Industry Projections Publication gives an overview and analysis of the projections by industry or occupation. Several tables and graphs are included for each type of projection along with written narrative. This narrative gives more details of occupations or industries as well as regional highlights. 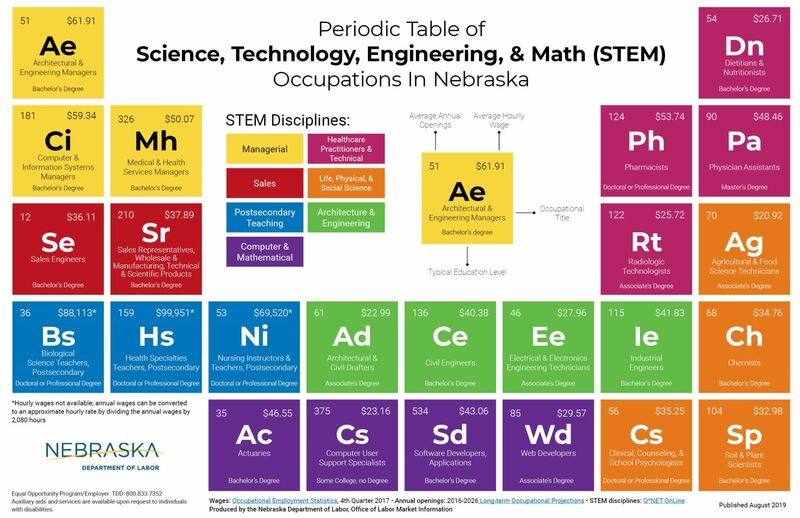 This poster highlights select Science, Technology, Engineering, and Math (STEM) Occupation in Nebraska. Annual Openings, wages, and typical educational requirement data is provided for each occupation. Occupations in Nebraska requiring licensing or certification, including a description of each occupation, contact information for the licensing authority, licensing requirements and fees. 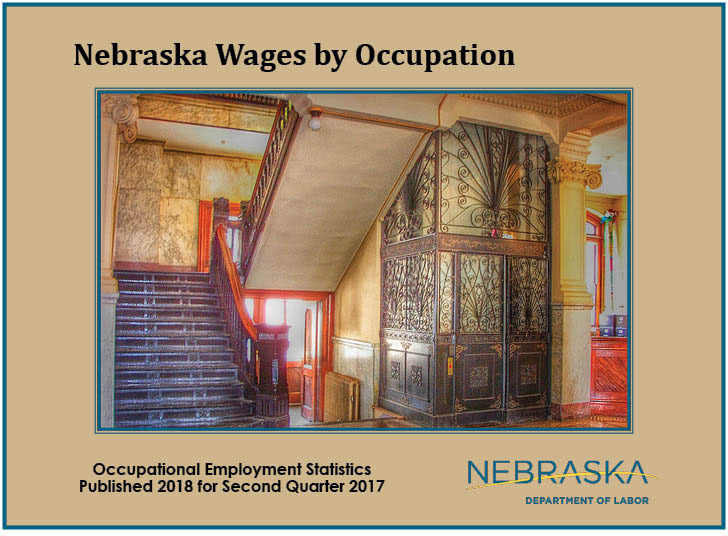 Wages for Nebraska's Metropolitan Statistical Areas (Omaha, Lincoln, Grand Island, Sioux City), Omaha Consortium, Nebraska Statewide and its Regions (Northeast, Southeast, Central, Mid Plains, Sandhills and Panhandle).